This is something that many of us struggle with currently, or have struggled with in the past. There are some practical things we can do as parents (and grandparents or aunts and uncles) to encourage exploration and open-mindedness with our children and their relationship with food. Food should be something that brings our family together, not something that tears our family apart. Food is meant to be celebrated and enjoyed; not a struggle. It should be something that our children associate with good memories. It’s important that we encourage a healthy food culture within our home. Power struggles, fights over food, and other tactics aren’t going to create that culture. But let’s be real, kids many times don’t just happily grab a serving of kale salad. How can we practically foster a love for real food in our kids and avoid the power struggle? 1. Learn to cook in a way that’s inviting and flavorful. There are multiple ways to serve veggies, and you don’t have to even hide them in a super creative way. Just experiment with different ways to prepare them: roasted, blended in soup (like this butternut squash soup, tomato soup, or cauliflower soup) or spaghetti sauce, or served with a dip (like hummus or ranch). 2. Let them use their voice. Give kids money to pick out something from the market, ask them to choose something to make from a cookbook. Ask your kids what they would like for dinner this week or in their lunchbox (the lunch cards in the School Lunch Kit are a great visual for kids). Make them feel part of the food culture in your home. 3. Shop a market or farm. 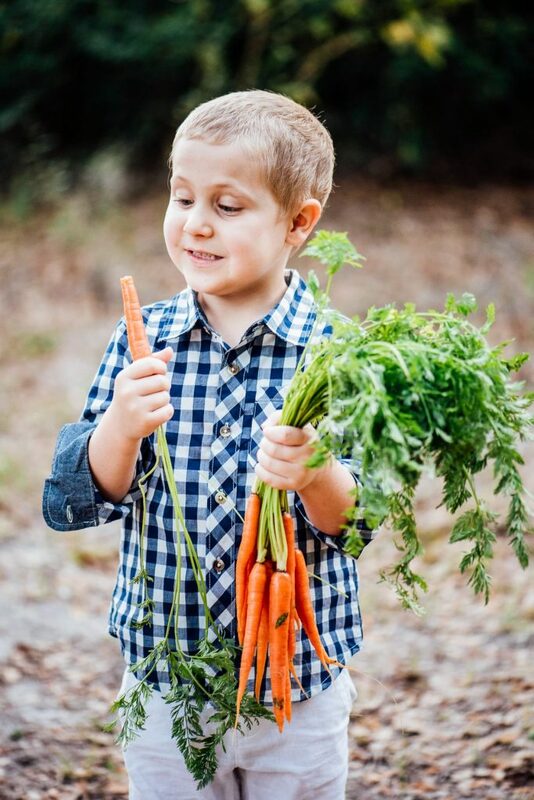 A market or farmers’ market will provide your children with hands-on food experiences. 4. Encourage participation. Ask your kids to help in the kitchen. 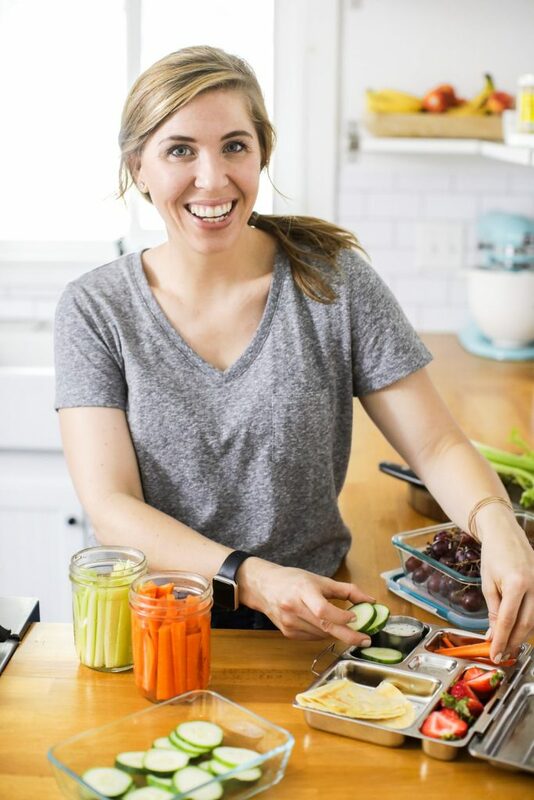 This guest podcast episode with Katie from Kitchen Stewardship is all about teaching kids to cook and prepare real food. 5. Eat as a family. Model, model, model. And don’t serve separate meals. 6. Remember, kids are intuitive eaters. There are going to be times when kids gravitate more towards certain foods (like butter and fats) than other foods. Just keep serving real food. 7. Limit the overly-processed food options in the pantry. 8. Be prepared with real and ready-to-go options in the fridge. Cut carrots, apples, bananas, eggs, a dip for veggies, muffins. You don’t need to go overboard. Just a couple of options for the week to encourage making nourishing choices. 9. Encourage the one-bite rule. And model this. This encourages exploration with food without any pressure or power struggle. We always encourage, “Just try a bite. If it’s not for you right now, you don’t have to eat it today.” Sometimes our kids try something and realize it’s delicious and decide they want more. Other times, they take a bite and decide it’s not for them (and will have to choose something else at the table). That’s where the next tip (#10) comes in handy. I talk about this “rule” in the How to Avoid a Power Struggle podcast episode. 10. Learn to say no in a way that encourages future exploration and doesn’t insult the maker. Instead of encouraging the “I don’t like this! Yuck” dialogue that’s common with children, teach your children a different dialogue that encourages future exploration and doesn’t insult the person that labored to make the food. In our home, we reply, “Okay, this isn’t for you right now?” I talk in detail about this tip in the How to Avoid a Power Struggle podcast episode. 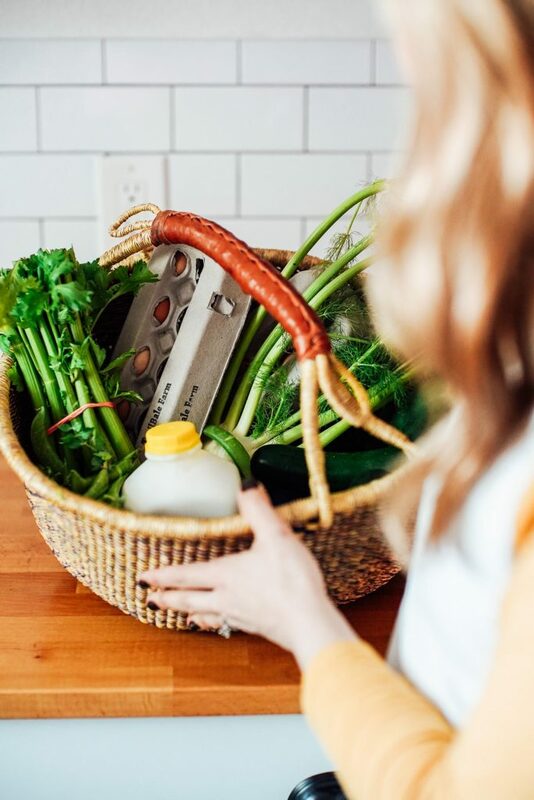 10 ways to encourage a healthy food culture in your home and, ultimately, how to avoid a power struggle with your kids over food. I share in detail about the ten tips shared above. In this guest podcast episode, Jennifer, from 52 New Foods shares a fresh, practical, and fun approach to getting kids involved in the kitchen and excited about trying new foods. 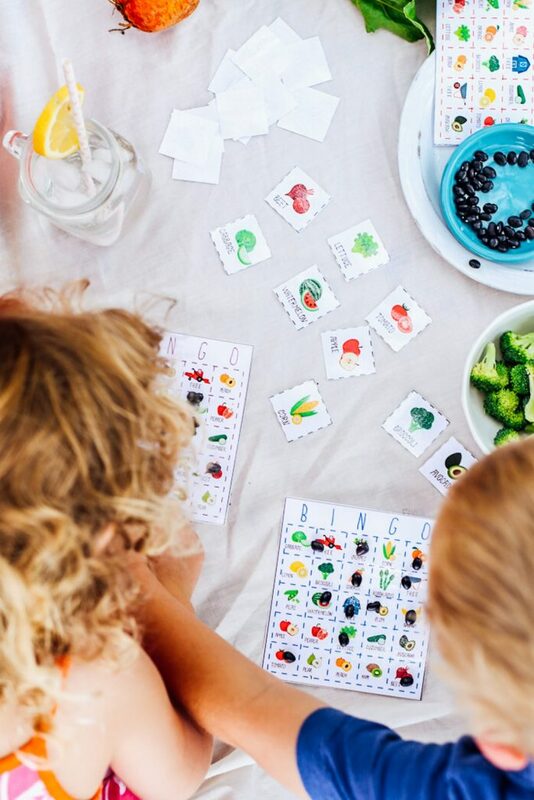 In this guest podcast episode, Katie, from Kitchen Stewardship, shares about raising children who have a healthy relationship with food and what this looks like in real life (you know, birthday parties and treats and all the overly-processed food). Katie also shares how to teach kids to prepare and cook real food and why this is so important for our children’s health and future. A fun game for our family and now we’re sharing it with you! It’s free to download and print. Add a delicious twist when playing: Offer samples of the fruits and veggies. When the item is called, the players sample the fruit or veggie. Or, take a card to the market or grocery store and a dry erase pen. Have your kiddo circle every fruit and veggie they find, and then ask them to choose a couple of foods to bring home and sample. One of the ways to encourage open-mindedness with your kids when it comes to food is to make food together. Let’s talk about some recipes you can make with your kids. Recipes that are easy, family favorites, and made with a variety of ingredients to encourage exploration and being exposed to different foods. 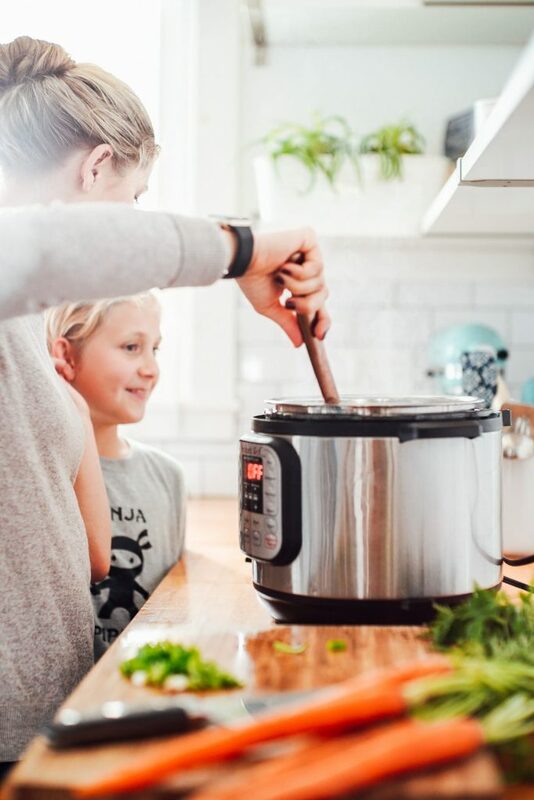 If your child isn’t ready to spend 30 minutes in the kitchen preparing a full meal or dish, encourage what they can do: chop the zucchini for the spaghetti sauce (we love the Curious Chef Knives for safe chopping), wash and scrub the veggies, measure the flour and oats for the pancakes, or press the button to turn on blender. 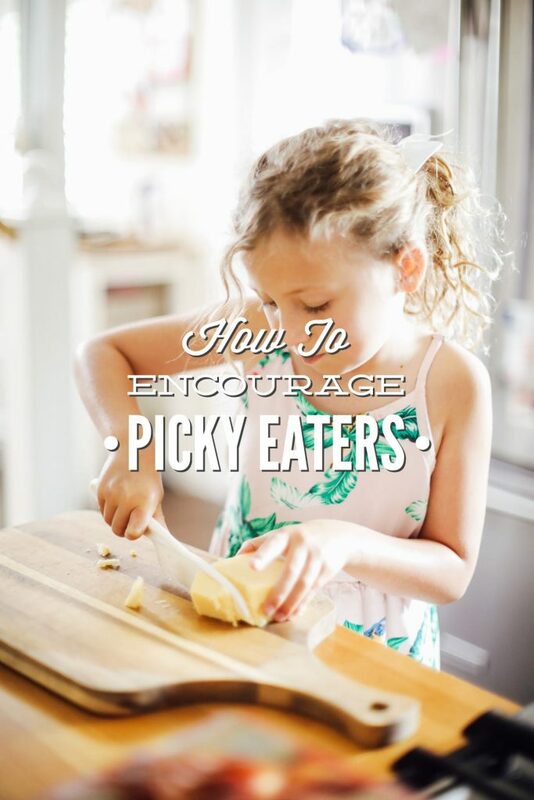 These small steps encourage participation and exposure to food and ingredients, and that, ultimately, encourages exploration and discourages an overall picky attitude towards food. Kids are naturally curious people. The kitchen is a wonderful place to encourage and grow this curiosity, which in the long-term encourages healthy eating and a healthy relationship with food and life skills that will prove valuable as they grow. Teach your kids that food doesn’t come from a box on a store-shelf; rather, we use simple ingredients to create the most-delicious meals. Making homemade pancakes is a great place to start. Make einkorn pancakes with a bowl and whisk, or use a blender to make almond-oat pancakes. 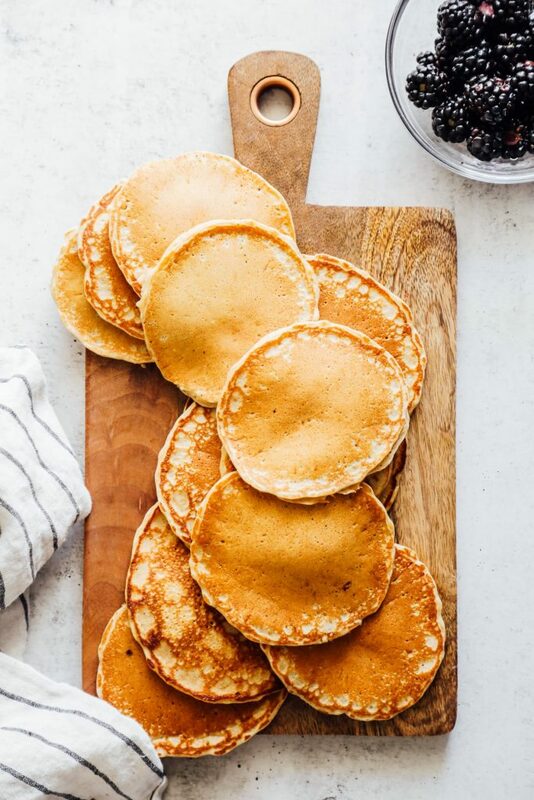 We circulate the pancakes on our menu every other Saturday and the kids love to help whisk, crack the eggs (use a separate bowl to avoid broken egg shells going directly in the mix–it’s easier to fish out the shells when using a separate bowl) and turn on the blender. Kids love to dip food. In fact, it just may be the magical answer to getting kids to try new veggies. 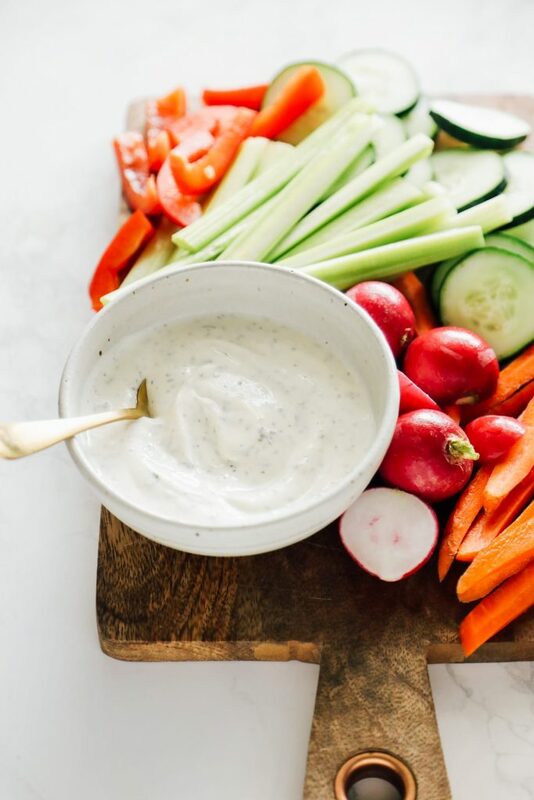 This homemade ranch dip is super easy to make (just 5 minutes and one bowl) and it encourages exploration with spice combos (garlic powder, onion powder, and parsley). Piper (my son) was reluctant as a preschooler when it came to trying anything green, but he loved smoothies. 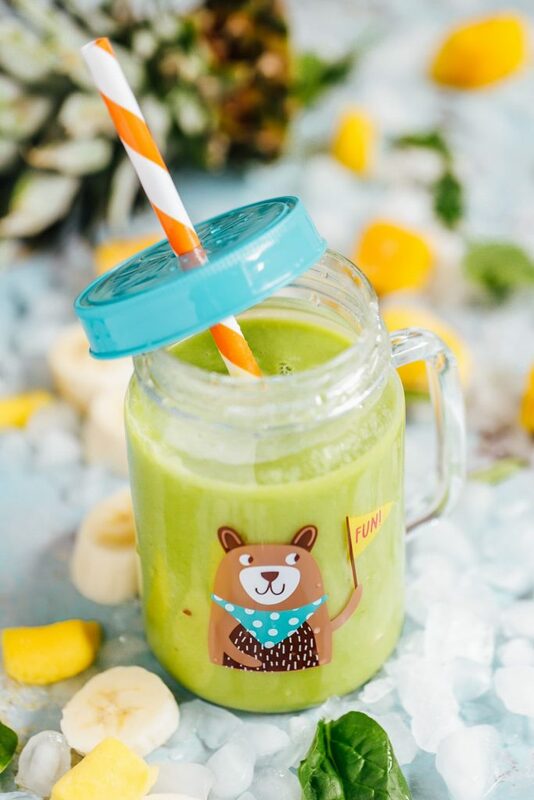 He also loved Marvel characters (thanks to his comic-loving father), so I decided to take advantage of his comic love and name this smoothie after a super strong, hulk-busting character. He was a bit apprehensive at first, but once he took a “just try a sip” start, he loved the taste. And the rest is history. It’s taken years for Piper to come around to other green things, but his love for this smoothie started early–all thanks to a fun name. If your kids are apprehensive towards certain veggies (or all veggies), give this veggie spaghetti a try. 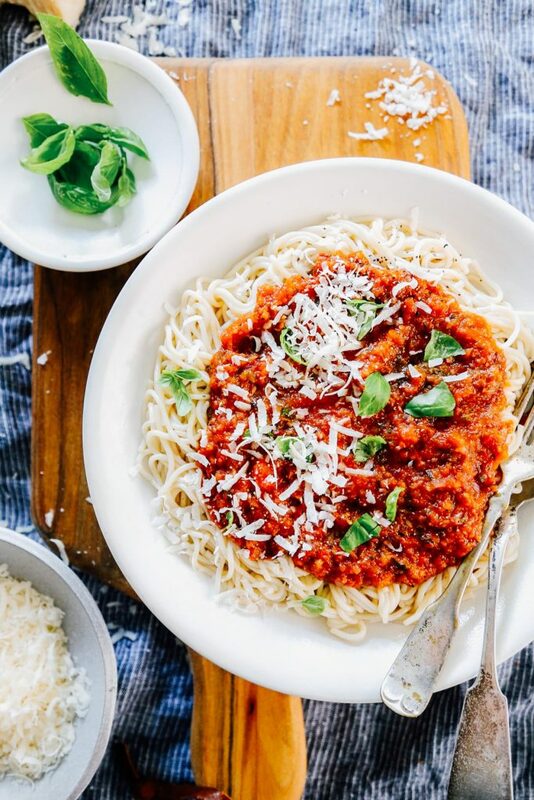 The base is made with roasted veggies and then blended up to make a delicious homemade spaghetti sauce. I love that my kids ask for homemade pizza. Don’t get me wrong, they definitely know about carry-out pizza as well. But they also love making their own pizza at home. 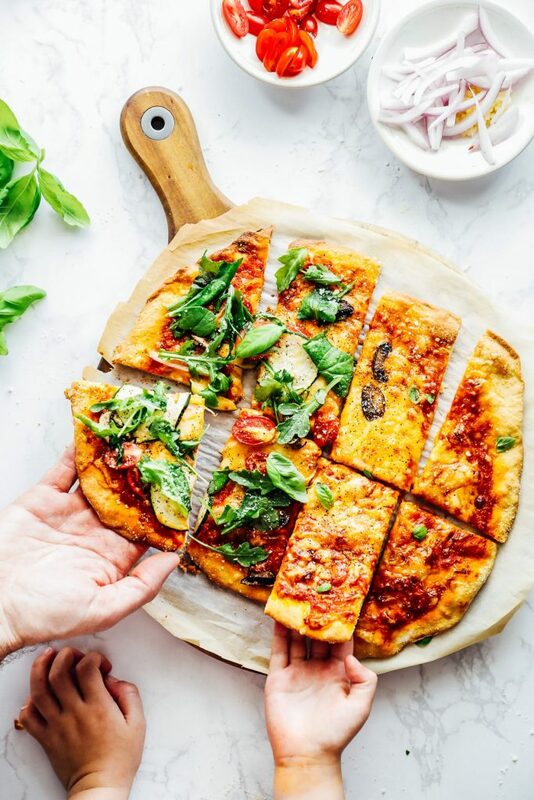 Kids love to roll out the homemade dough, spoon on the sauce, top the sauce with cheese, and then add any toppings desired. What kid doesn’t love mac and cheese? 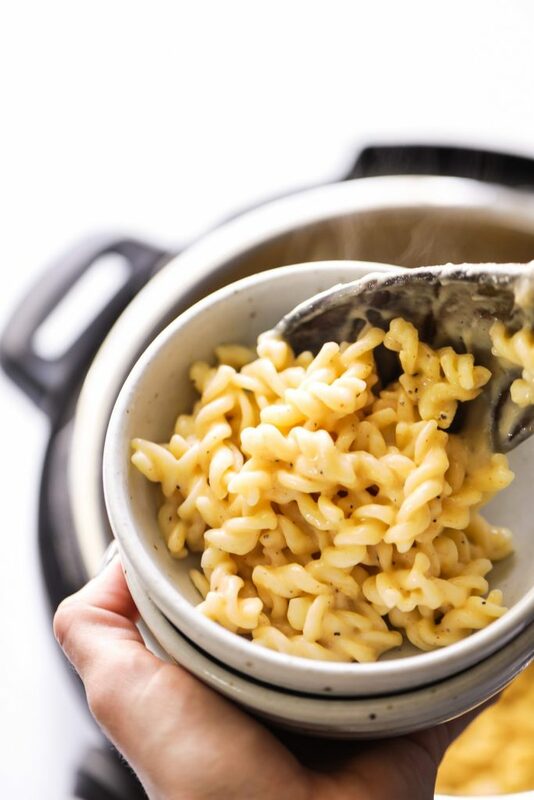 Making mac and cheese at home is a great way to show your kids that food doesn’t have to come from a box. We can make delicious food with simple ingredients. Use the stove-top or an Instant Pot.